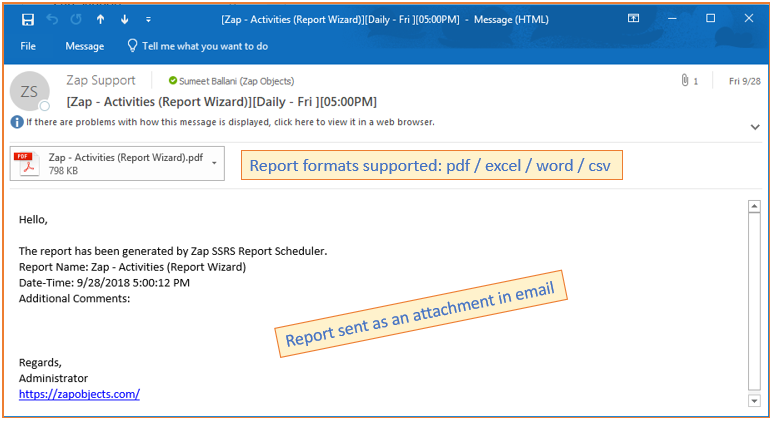 /Zap SSRS Report Scheduler /How does Zap SSRS Report Scheduler App work? Zap Object’s SSRS Report Scheduler App for Dynamics 365 CRM (Online / On-Premise) allows you to have reports (Out-of-box or Custom) automatically run at specified dates and times without any user intervention. The report output file can be emailed to a recipient of your choice. 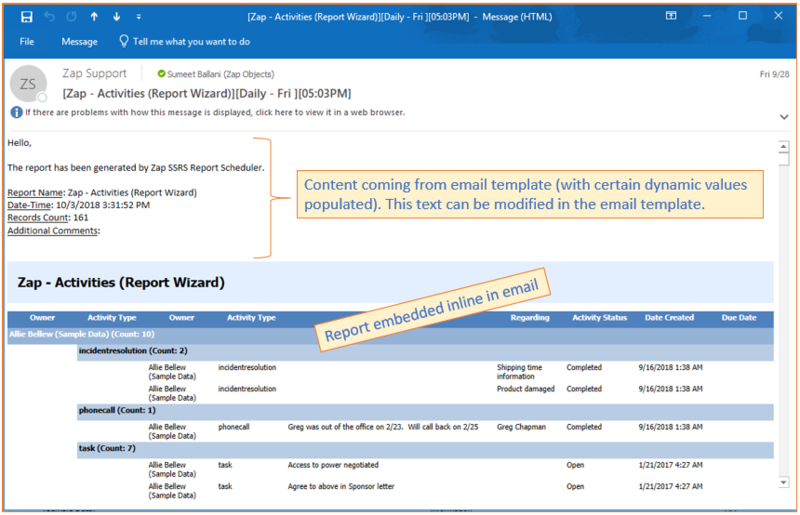 Install Zap SSRS Report Scheduler App from Microsoft Appsource. For detailed documentation for executing the above steps refer Zap Knowledgebase. Browse to Zap Apps >> Zap RS Scheduled Record and click “New”. The report scheduler would now automatically run at the scheduled day and time!